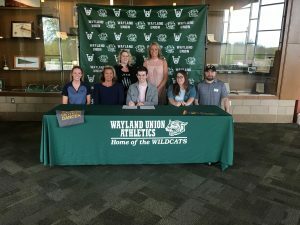 Congratulations to Wildcat Evan Cater who will be continuing his education at Siena Heights University this fall. He is a talented and skilled dancer who recently signed to join the Siena Heights Dance Team. Congratulations Evan!